This article lists the main benefits of meditation – which apply to everyone, whether you’re a Zen Master in search of enlightenment – or somebody who just wants to chill out a bit more. You don’t have to be an enlightened, spiritual hippy to gain the benefits of meditation. Just 20 minutes of meditation, three times a week is more than enough to help relax the angriest of folks - which doesn't take much Motivation at all. If you’ve tried meditation in the past and found it tricky, don’t panic – there is some inexpensive technology available that helps you to meditate in minutes. We’ll get into this later – but for the moment, let’s focus on the key benefits of meditation. We live in a crazy, connected age. Our minds are constantly being bombarded with information – via the internet, TV, mobile phones, Blackberrys, instant messaging, Twittering, Facebook, advertising, newspapers, friends - and work. It’s no wonder that we can begin to feel overwhelmed and overloaded at times. One of the key benefits of meditation is that it totally clears and quietens your mind. The constant mind chatter that runs through your head all day begins to slow... and with practice will almost disappear. Instead, you will be left with a peaceful and quiet internal space for deeper contemplation and relaxation. You will also begin to notice a dimension of space in your mind that is covered up by your day-to-day stresses. Even twenty minutes of visiting this quiet and peaceful place is enough to “reset” your system and make you feel more relaxed, calm and focussed. Believe me – it’s a wonderful place to visit. Good For: If you’re susceptible to mood swings, stress, anxiety or feelings of being overwhelmed – meditation will help you to clear your mind and feel more in control. We all want to understand ourselves better and answer the key questions in life – why are we here, what is my purpose, what sort of person am I? In fact, we can spend far too much time debating these questions consciously – with very little in the way of progress. Meditation allows for deeper contemplation than regular thought. When you are in a relaxed, higher state of consciousness, it is a lot easier to take a more objective look at yourself and your life - and see them from a new perspective. Meditation can also help you to distance yourself from some of the automatic responses that occur in your brain – which make you act in a certain way unconsciously. With practice, you will learn how to control your brain consciously – something that a majority of people fail to do. Good For: If you’ve ever wanted to understand yourself better, control your thinking patterns, take charge of your emotions and begin to realise why you act the way you do, meditation is a fantastic way to go about it. There are numerous scientific studies into the health benefits of meditation. 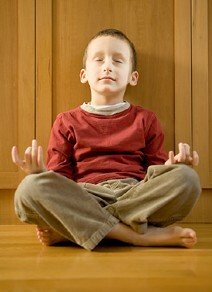 Mainstream science, of late, appears to be catching up with all the Zen folks who have been evangelising the positive health benefits of meditation for years. From first-hand experience, I can honestly say that meditation has strengthened my immune system – I get ill less, have more energy - and I’m sure my memory is improving too. All of these observations back up recent scientific studies. Whilst I’d encourage you to do your own experimentation, the following health benefits of meditation seem to be readily accepted – decreased stress and anger; increased happiness; greater resistance to colds and illness; increased relaxation. If you give meditation a go, I’m sure you will see and feel similar results too. Not bad for an hour a week or so.